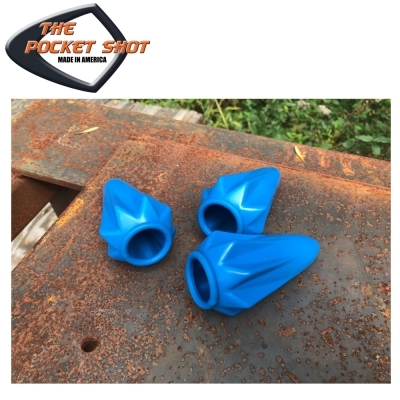 The Pocket Shot Pro Pouch 2.0! This item comes in a pack of 3. It has a longer pouch life, longer draw length, and more aggressive fins. Up to 500 shots with a single pouch, this is perfect for your pocket shot slingshot.